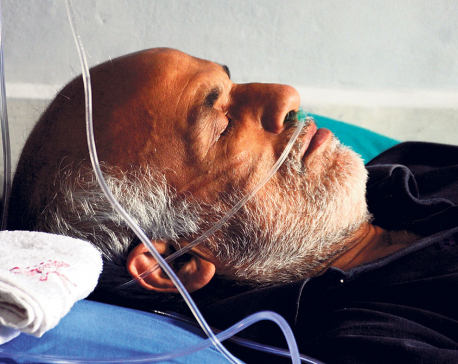 JUMLA, July 12: Dr Govinda KC's fast-unto-death demanding various reforms on medical education system marked the 12th day on Wednesday. As his health condition started deteriorating, Dharma Raj Shrestha, rector of Karnali Academy of Heath Sciences (KAHS), said there is a need to form a district-level coordination committee for talks with the government. “It would ease addressing the demands of Dr KC if a district-level committee is formed to discuss his demands, possible compromises, and inform the government accordingly,” said Shrestha. 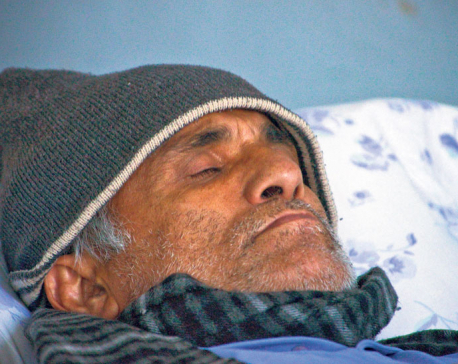 He is of the opinion that there must be a district-level coordination body in order to create environment for talks between Dr KC and the government. “Otherwise, how can we expect formation of proper environment for talks between the two parties?” he questioned. In solidarity with the demands on health education reforms raised by KC, Nepal Medical Association (NMA) on Wednesday organized a protest rally. 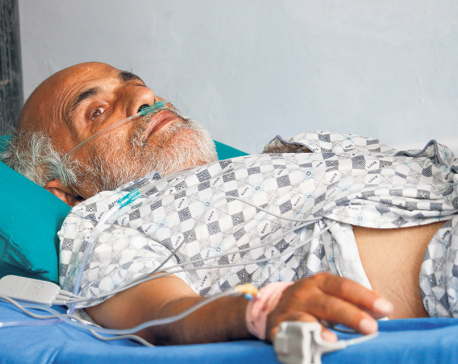 They accused the government of not being serious about the demands of Dr KC. The association said their protests would continue after Wednesday. Doctors at the KAHS halted their service for an hour. They staged protest from 10 am to 11 am on the hospital premises, wearing black armbands. Dr Prakash Budhathoki, treasurer of NMA, informed that the protest took place across the nation. “In some hospitals, protests are being staged on hospital premises while other hospitals have organized peaceful rallies. Such protest programs would get continuity from this day henceforth,” he informed.